Winter is a beautiful time, but unfortunately, it can cause havoc with your RV or camper without the proper steps. Mobile RV repairs Phoenix company Fix-My-RV can help you prevent those issues – or step in to help get your RV as good as new if you weren’t able to take those preventative steps. 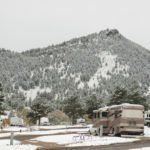 Winterizing is when you get your RV or camper ready for the colder temperatures. Temperatures below freezing can cause major problems with the plumbing system . This includes the water lines, toilets, and tanks. Simply put, if there is any water remaining it could freeze, expand and potentially break lines. In addition, you should prepare the interior, exterior and chassis components for winter. That said, it is important to take any and all necessary steps. However, even the best of plans get foiled. That is why Fix-My-RV mobile RV repair Phoenix can help you get back in operation again – on your schedule. From electrical, heating, plumbing, water heaters and appliance repair, Fix-My-RV will get your RV back on track with our attention to detail. Our team would rather do things right the first time than right now because we know it takes time to produce a quality result. When it is time for your mobile RV repair Phoenix, Fix-My-RV takes your lifestyle, needs and be sure to have minimal disruption during the repair process. To make it easier for you, we will come to your location. 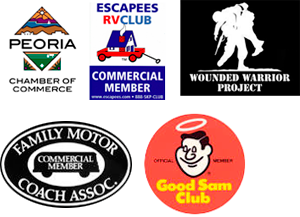 If you have questions about your mobile RV repair Phoenix, please contact us today!